The association we founded in January, Kreative Hilfe für Flüchtlinge in München, has been collecting clothes and other donations for refugees. The generosity has been so great in Munich that we’ve also been able to give clothes and blankets to homeless people. As you may have heard, most refugees from Syria are currently by no means in the EU, as right-wing propaganda will have you believe, but in Turkey and Lebanon and other countries in the region. 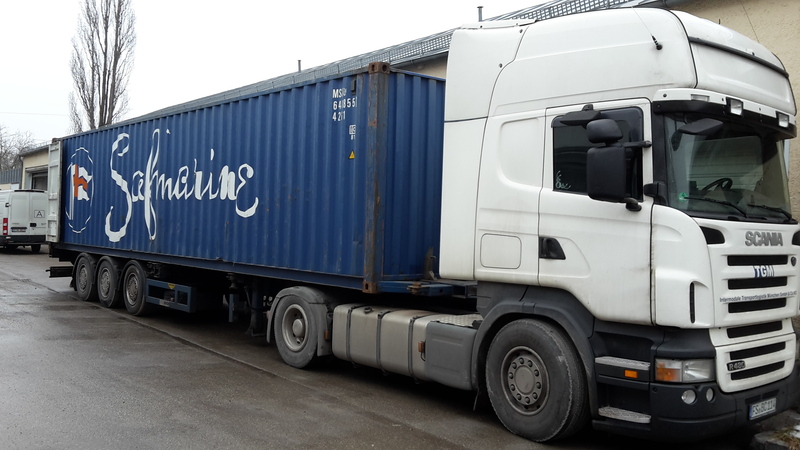 That is why, today, we shipped off around 1,000 removal boxes full of clothes, blankets, shoes and some toys to Syrian refugees in the Middle East. The transport is being organised by Orienthelfer, a charity around the great Bavarian comedian Christian Springer (whom I met today, so that was a nice “first”, too). 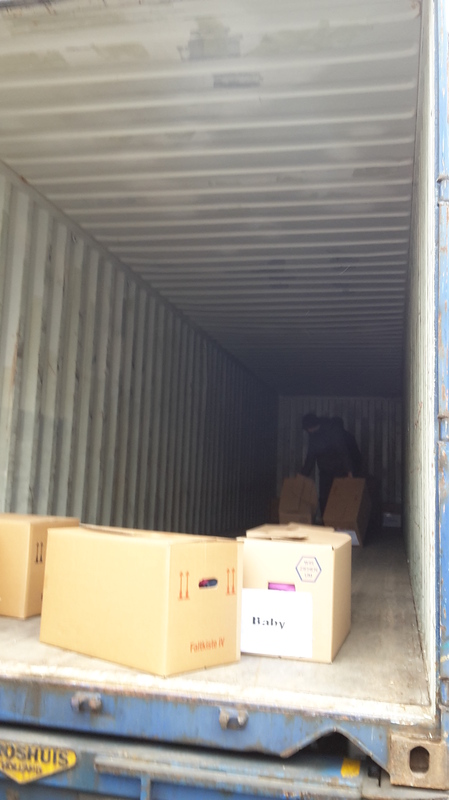 While this was not the first time I’ve helped put removal boxes in a lorry, of course, it certainly was the first time I helped fill two entire cargo containers with boxes for a good cause. We worked away for hours, all in high spirits. When the first container was taken away and we waited for the second to arrive, we had some home-made soup and cake that was a gift from the vegan restaurant we went to a while ago. We didn’t think this would ever get full. It was hard work but felt really good, knowing it was going to ever so slightly better the lives of people who have suffered more than any of us can probably even imagine. Apart from that, I also realised today just how lucky I am to have become a member of this group of lovely people. There we were, people who have known each other for only a few months or even met today, yet we worked as a group as if we’d known each other for a lifetime. I’ve met so many interesting people and made so many new friends over the past half a year. I’ve had great conversations, learned new things and had the opportunity to make bit of a difference. I cannot begin to tell you how grateful I am for that. If you’d like to make a donation to our association or even give us some of your time, check us out on Facebook.